A good opening in a personal statement is the key to get your reader’s attention. Making a personal statement is not easy. A personal statement requires time and effort. That is why it is something that should be done with plenty of time in advance. 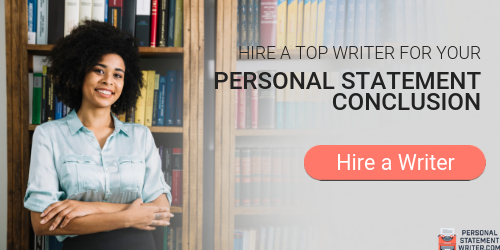 If a person does not write his personal statement with enough time in advance it can result in frustration and many mistakes could be made, and here our experienced personal essay writers can help. Enough time is necessary because the right content with the right words need to be chosen, and it should be edited in a way to make the reader feel curious and interested about the person who wrote it. All of that effort should not be forgotten at the time of closing the personal statement. 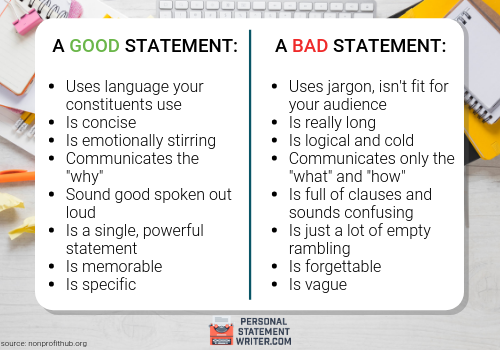 A strong personal statement makes the reader confirm the good opinion that he made about the applicant, as he read the personal statement the reader formed a concept of this person. In this article, you will learn how to finish a personal statement. It is vital that you know how, so you can present a perfect personal statement. Personal statement length. There’s no defined perfect personal statement length, the word count varies from 500 words to 1200 and will depend on the university you’ve picked. There’re certain online personal statement length checkers that you can use to be confident that you don’t write too much or too little. The opening should include the first paragraph that needs to uncover your writing intentions. Give the subject introduction and outline what topics you’re going to cover in your personal statement. Provide the main aspects of your writing, give the reader insight into the topic by providing your personal reasons of interest, try to explain straightforwardly why you’re interested in the subject matter. You may start the narration with an interesting personal statement opening line like a citation (but not overused) or a statistics, slight humor or another type of opening hook for writing that should not sound too cheezy. Mention what motivates you to take this course, how your interest developed over the years, what you have done to pursue it or how you’ve drawn inspiration from your current studies. The opening should not exceed 150 – 200 words in total. 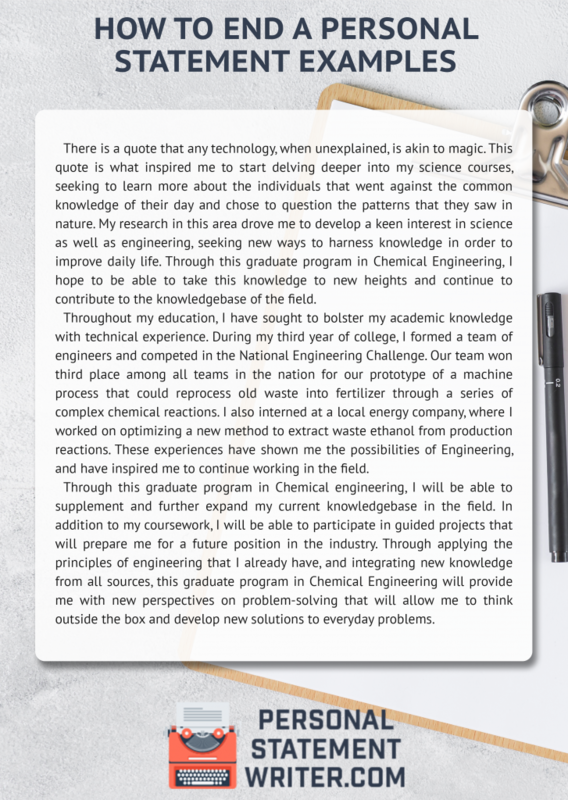 The second paragraph should describe your previous experiences and knowledge relevant to the subject matter, give the evidence that you fit the course – not only that you meet the selection criteria but also that you’ve researched the course or profession and understand what studying the subject at university level will involve. The third and fourth paragraphs should include your work experience and skills (if any) or activities at school. You should not only list them in the plain matter but to provide the insight of how they changed your life – what knowledge you gained. Such activities also help to find out more about you as a personality, such could be volunteering, a university taster session or outreach program, summer schools, or other activities of social value. Outline how you’ve pursued your interest in your chosen subject beyond your current syllabus. How to finish a personal statement? That’s where the outcomes should be all situated. It is the 5th paragraph that makes the conclusion for all your personal statement, here you should concentrate the main idea in the most laconic style as possible. Summarize the main ideas in the short form, mention your future plans and provide the idea again why your candidature bears the highest value in term of bringing new prospects and generating the new values. Show your critical thinking by pointing at the gaps in the subject or industry that is still unfilled and describe your plans for the future concerning them. Watch out! The conclusion part as well as an opening paragraph, should not exceed the 1/3 of the overall narration length, try to keep it between 150 – 200 words. Don’t be trapped by the desire to out the poor and generic information at the end of your personal statement as it makes the “second first impression”. It is recommended in the conclusion of your personal statement, to make reference to your opening. Remember, the opening was your way into the reader’s mind. With the opening, you were able to catch his attention and you started to develop your personal statement around that idea. The personal statement closing paragraph should be linked to that opening and it should give the final reason why you deserve to be allowed to study that career that interests you the most. Read about Boston university essay prompt on our site. The key to knowing how to close a personal statement is in understanding the logical development of the personal statement, so at the end the reader can determine that you are a person who is excited about going to the university, and a person who will be able to overcome all the different challenges that he may encounter. At this point, you have allowed the reader to know many things about yourself, and now you have the opportunity to show appreciation for his attention. You can also add that you feel excited about what is next and express that you are thankful for considering your application. You tried so hard, but your personal statement or Purdue university application essay got rejected, why? Let’s sort out the most common issues and understand how you should not finish your personal statement. There is no doubt that a good closing paragraph is vital in a personal statement. Those who want to take the time to make a good personal statement will be able to get into the university that they desire no matter what. It is obvious when someone has done his best to present an honest, unique and well prepared personal statement. That is exactly what makes them achieve their goals because they try hard to make things good. When you analyze what is necessary to create a good personal statement, you realize that it is not something impossible to do, it just requires time and effort. Something that anyone who strongly desires to get into the university of his choice will be able to accomplish. Get a hand from the personal statement service to help you write your personal statement and be ready to reach your goals!